We would like to introduce you to Dee Cee Upholstery and Interior’s World of Comfort. 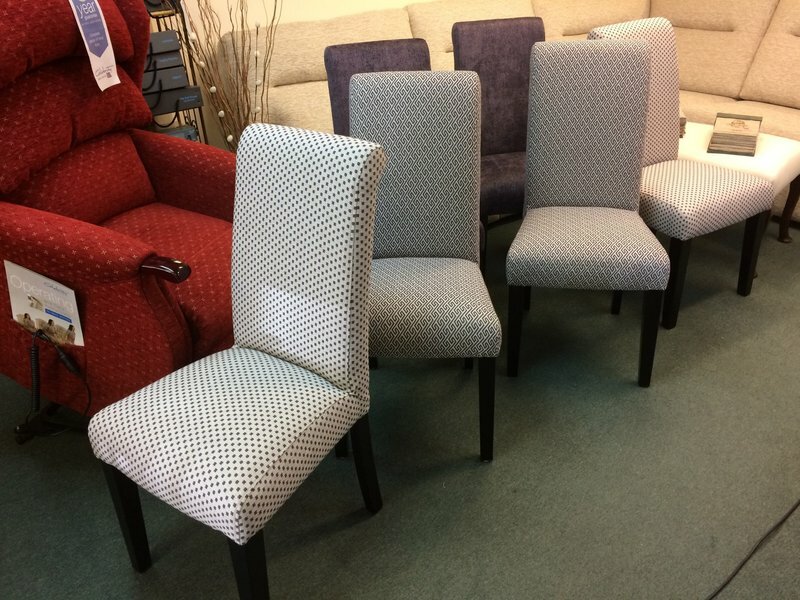 Established in 1978, we are one of the South’s leading experts in Upholstery and Rise &; Recline Mobility Chairs. Partner in Dee Cee Upholstery, Derek Caplen, became the youngest master Upholsterer in the UK at the tender age of 21, and by the age of 43 he had become the youngest Fellow of the Association of Master Upholsterers for his outstanding contribution in training young people , and dedication to the A.M.U. & Soft.Furnishers. As suppliers of award winning, quality Rise & Recline Mobility Chairs, we are acknowledged experts, recommended by occupational therapists, physiotherapists and healthcare professionals, and are approved specialist suppliers to local councils and the NHS. We have also won local and national awards for exceptional customer service. 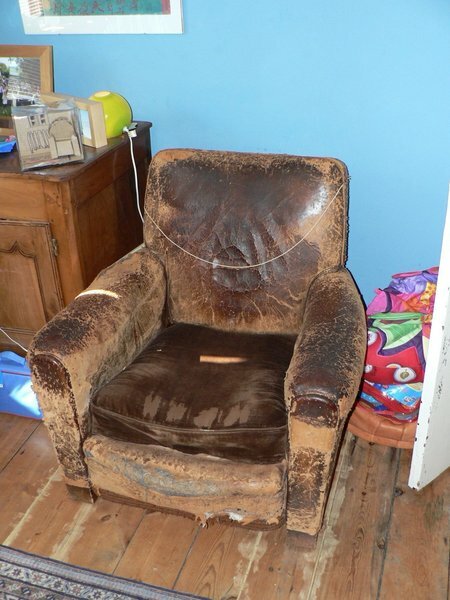 We are experts in quality Re - upholstery , we cover the Southampton and surrounding locations .A service that will leave you sitting comfortably. Prompt service on piano stool. Nice job of re-upholstering a piano stool in leather. Unfortunately one of the buttons became loose. We dropped it back and they kindly dropped the stool back to our house the very same day! Excellent service! Hi Christa I am pleased that you found our prompt excellent after sales service useful and refitting the button the same day and delivered back to you, thank you for your review . 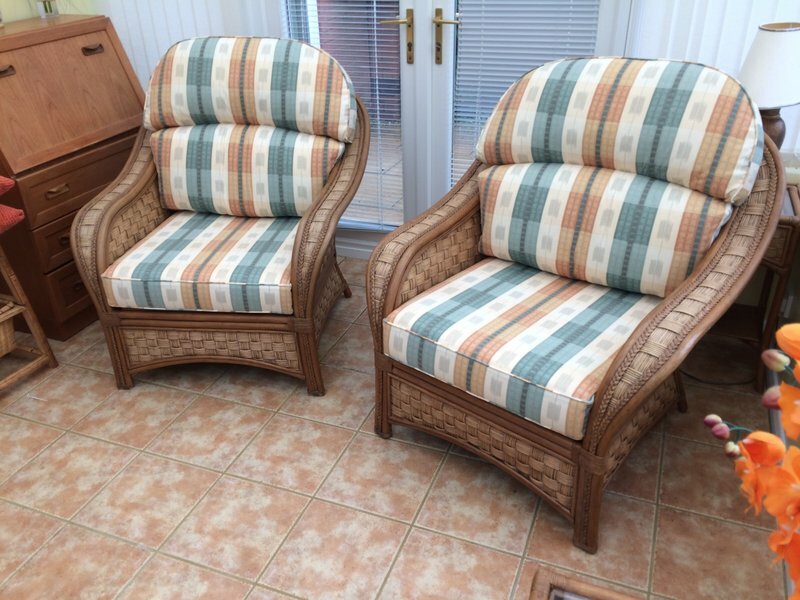 We are extremely happy with the purchase of Celebrity riser recliner chairs and settees. Throughout the whole process from our initial visit to the delivery and installation Derek has been very helpful and proved a source of helpful information. We would have no hesitation in recommending the company to anyone wishing to buy quality furniture of this nature. I needed a head board , stool reupholstered I called Dee Cee for an estimate, they came quickly,I accepted the estimate , the work was carried out quickly and efficiently, so much so that I asked them to reupholster an American Rocker , again the work was of a high standard, my bedroom has been transformed. 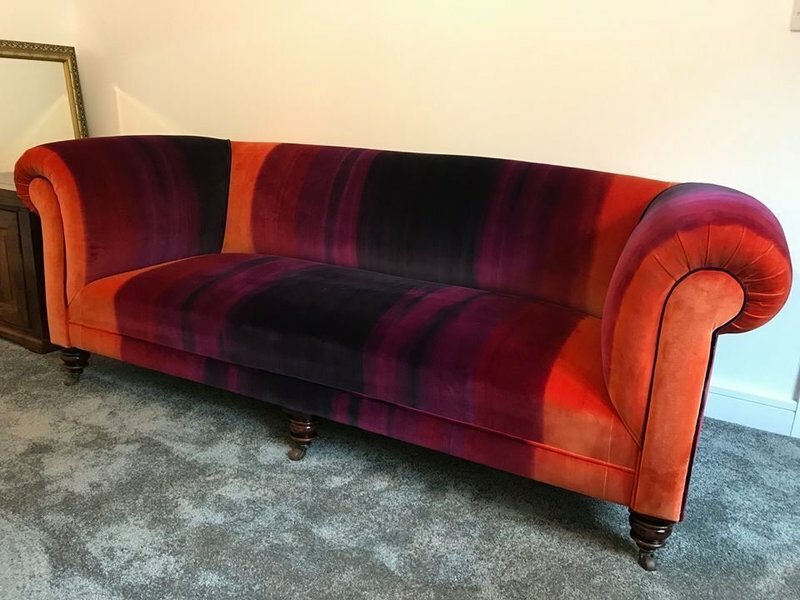 Thank you Mrs Tremanye for your review , the colour of the high quality velvet that you was chose was perfectly matched to your existing curtains in your bedroom . When we delivered your deep buttoned and diamond pleated headboard with matching dressing room stool , you decided to have your American rocking chair repaired and re-upholstered to match . Our two very old armchairs were beautifully renovated and reupholstered and returned to us well before the estimated date. 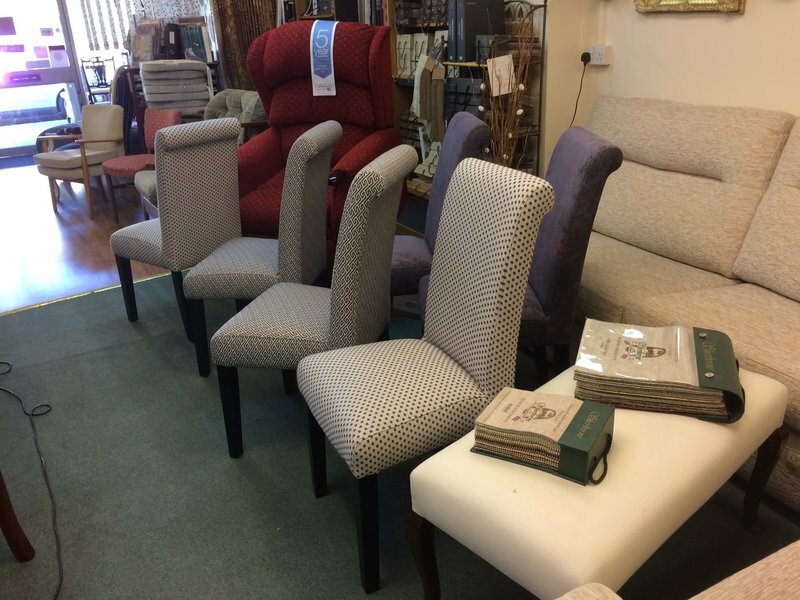 The staff in the shop and those who collected and delivered the chairs were really helpful and friendly. Over the years we have had many jobs done by Dee Cee and as usual this one was most pleasing. Dee Cee Upholstery completely reupholstered my two sofas last year and did an amazing job. Recently my dog got her ball stuck under the edge of the sofa when I was out and she chewed the fabric to try to get to her ball. I contacted Derik to ask if they could mend. 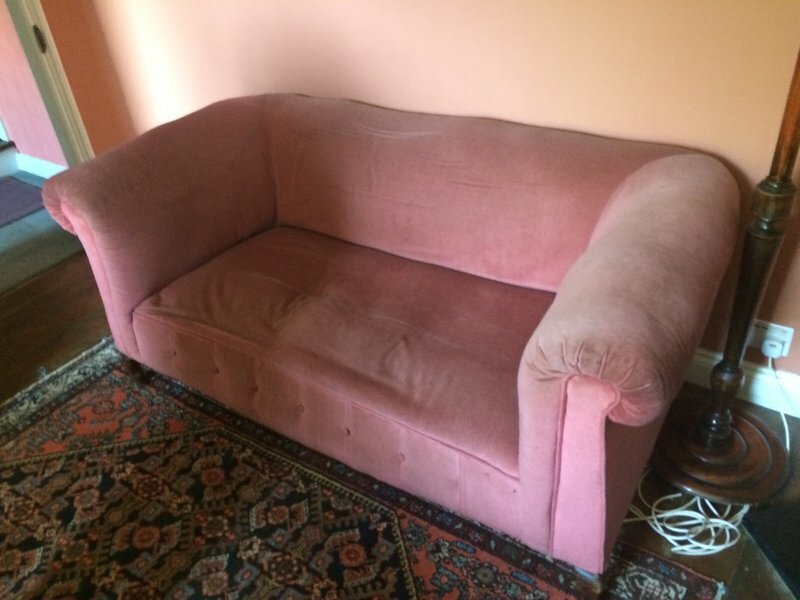 The sofa was very promptly collected and the new panel of fabric was replaced, it now looks like new again. They also made me two custom made cushions so my little dogs can use them as a step to jump up onto sofas. These also had removable zip covers so I can wash them and they were sprayed with stain protector ( thoughtful extras). 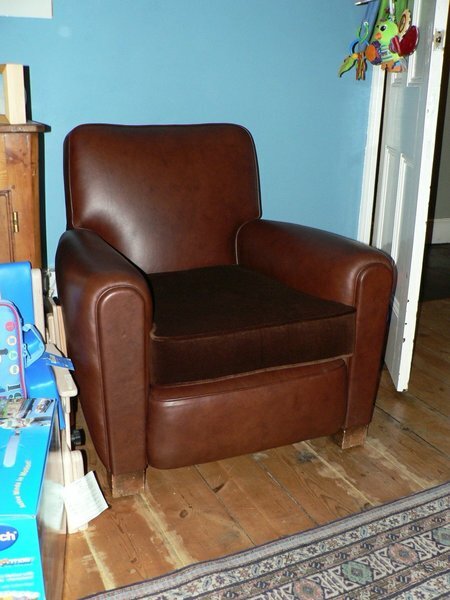 Very pleased , if you want an efficient professional service with top quality workmanship use Dee Gee Upholstery. Dear Michael and Christel , thank you for such a lovely review . We are pleased that you were very impressed with our service and that we kept you in the ' loop ' every step of the way . 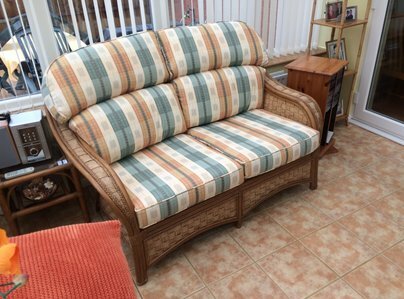 At Dee Cee Upholstery & Interiors we always strive to be as professional we can , it's nice to have a job well done right down the line which leads to another satisfied customer who will gladly recommend our Re- upholstery service . Small button back chair reupholstered. Quite complicated but a very good job done. Completed in about 3 weeks, and a good price too. Refurbished a Victorian gentleman's arm chair. Has done previous work as well. Reliable, good quality. Thank you Stephen for your review it is nice when a customer comes back to us to have more work done . After 41 years in business it shows that we must be doing some thing right . At Dee Cee Upholstery & interiors no job is too small, the 4 x cushion interiors had reached there 'sell by date ' and were in desperate need to be replaced . After discussing the different options our customer took our advice and went for the best quality foam interiors with a thick polyester wrap for extra comfort . As our customer stated her sofas are as good as new now and at the fraction of the cost of replacements. Excellent job recovering sofas. Delivered on time at reasonable cost. Everything we wanted.